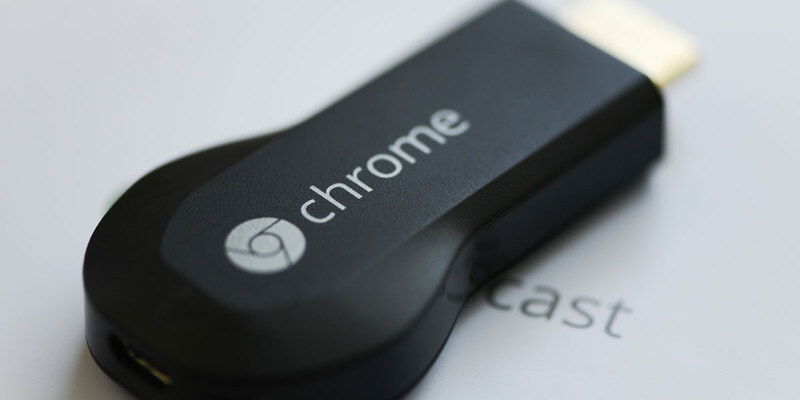 Back in 2013, in response to the increased demand for media streamers, Google released a nifty little device by the futuristic name of ‘Chromecast’. They’re very inexpensive and can be picked up for around $49 from most tech stores, such as JB HiFi or Dicksmiths. These days there are several similar products on the market, including Roku and Apple TV, however for price, convenience and use around the office we’re sticking with Chromecast. It’s a small device approximately the size of a USB flash drive that plugs into your TV via the HDMI input. Chromecast has it’s own inbuilt Wi-Fi, that connects to your home or office network, and the setup process is easy by following the minimalist onscreen instructions. Once fired up, it essentially turns any TV or monitor into a smart TV. By using your laptop, tablet or phone as a controller, you can start streaming your favourite shows on Netflix, Presto, Stan etc. through to your TV. If you already have a smart TV, this functionality might not necessarily excite you. However the real benefits come from the ability to ‘cast’ a tab from your Chrome browser (or your entire desktop) directly to your TV without the need for clunky VGA or HDMI cables. You simply press a button and mirror whatever is in your computer to your TV or monitor! This is very handy when it comes to showcasing projects or presentations to clients on that big screen TV in your office. If you are an architect or engineer, you could bring up your plans on the big screen rather than huddling around a laptop. If you are a web or graphic designer, you can display your portfolio or the progress of a website. While at home, you can cast your family photos or videos straight to your TV – a great way to look through travel pics. For that price we think so, there is just so much useful functionality. If you buy a new TV or need to utilise the device at another location, you can simply unplug it and take it with you and when software upgrades arise, your Chromecast will automatically update to the latest version. For business or personal use alike, we’re sure most people will find something to like about this innovative device from Google.